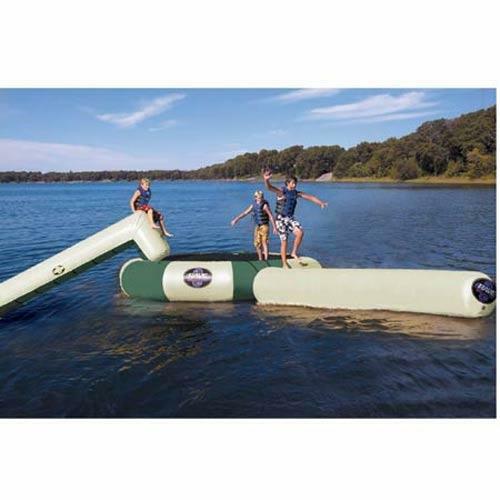 For lightweight and portable summer fun for the whole family, grab the Rave Bongo Northwoods Water Bouncers 15 w/ Slide And Log and let the bouncing madness begin! Quick and easy to set up and anchor, this water platform is big enough to accommodate 3 bouncers for all day fun, and because there are no frames or springs the Bongo is light enough to pack up and take with you no matter where your adventures take you. Just throw it in the car, boat or camper to make any day on the water into an awesome day at the water park!